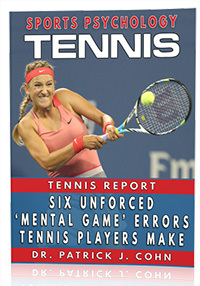 You are here: Home / Tennis Psychology / Tennis Confidence / Do You Have the Mental Strength of Novak Djokovic? 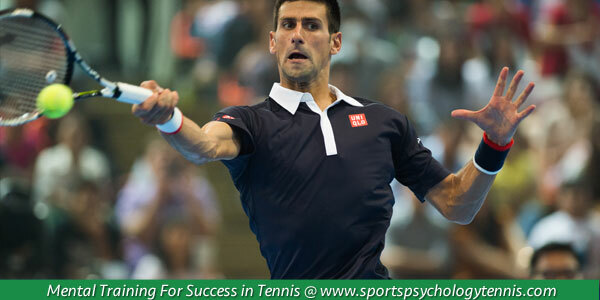 Do You Have the Mental Strength of Novak Djokovic? What makes Novak Djokovic the number one player in tennis today? He certainly has all the shots, but what about his mental toughness? Does he just have an incredibly high confidence in his ability? Is he able to battle hard when he’s down in a match? Does he find a way to win when not playing his best tennis? Yes, yes, and yes! I think it’s all of the qualities and more that show his mental strength. “Mental strengths? In these particular matches and circumstances mental strength probably plays the most important role,” Djokovic said after beating Murray in the final to win the 2015 Australian Open. “In winning those matches, you need to be able to find that inner strength, mental, physical, emotional, especially when you’re down in the finals and when you’re playing a top rival,” he said. “It’s not always possible to be 100% concentrated for three and a half hours. But it’s important to keep going because you fall many times, but mental strength allows you to keep going,” Djokovic said. 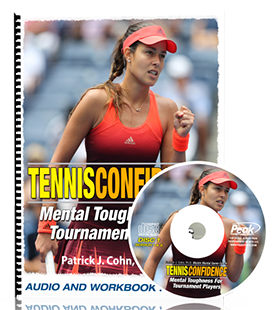 Dealing with your emotions, tension, loss of focus, and long delays in play are part of playing a championship match. You have to prepare yourself mentally for these mental game challenges so you are ready for anything. When you lose focus, you have to get it back and not fret over losing your serve. When you miss shots out of frustration, you want to step back and regroup—have faith that your A game will return. And prepare your mind to play tough opponents that play mind games with you. These are a few of the qualities that will help you play tennis with the mental strength of Novak Djokovic.